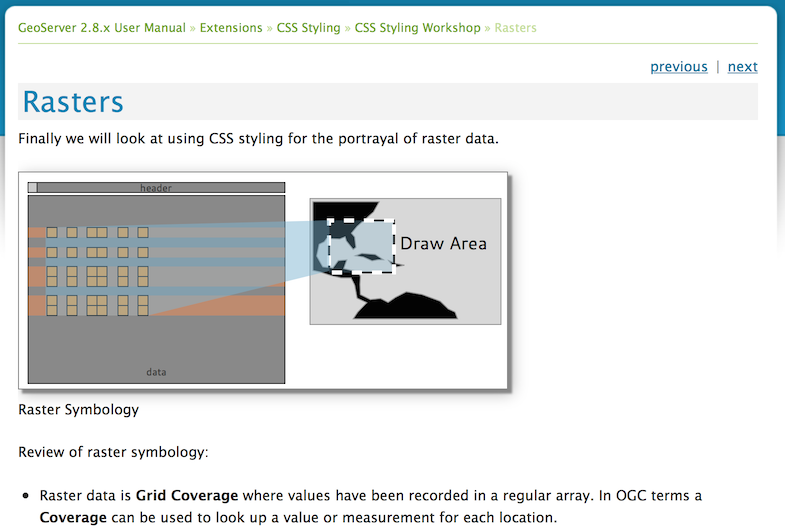 Quick thanks to Travis and Mike for porting my FOSS4G CSS Workshop into the GeoServer User Guide (and to Eva Shon who helped with the initial workshop). The GeoServer community would love a hand testing GeoServer 2.7-RC1. It has an all new GeoTools based css extension and we need your feedback!